Caroline Rose’s 2014 album I Will Not Be Afraid was an eclectic roots-rock album, with rockabilly hiccups and real-deal twang sitting alongside vintage keyboard tones and lyrics about white privilege and Pagan lust. The time for “other stuff” has arrived. Rose’s fine new album LONER finds the New York-based singer-songwriter exploring an entirely new musical aesthetic without sacrificing any of the mischievous spark that coursed through her earlier work. Rose has ditched roots-rock in favor of a punchier, studio-powered pop sound, packed with danceable beats, prominent synths, big choruses and plenty of swagger. She remains unafraid of singing about serious subjects (capitalism, sexism, death, etc.) but on LONER, she delivers it through a bold, candy-colored filter that’s always intriguing and often irresistible. Rose is still stylistically adventurous. Opening track “More of the Same” makes this clear from the jump, with staccato organ notes, electric guitar echo and a chorus that swings like an old soul song. Later, “Jeannie Becomes a Mom” does the same, with a fidgety bass line in place of the guitars. The second track, “Cry,” is a power-pop beauty built atop a buzzy post-punk pulse, and closing track “Animal” is just-plain pop. Its slow-burning pace, stage-ready handclaps, ascending synths and dramatic melody would all fit in just fine on Top 40 radio. It basically sounds like a Justin Timberlake song retrofitted with a Katy Perry chorus, then buried in a shallow grave of distortion. Hints of Rose’s rootsy roots do come through here and there, only to be pushed offscreen by something wilder. “Money” starts off like one of the Reverend Horton Heat’s psychobilly freakouts, but its chorus is a chaos of heavy stomp and synths that sound like sirens. “To Die Today” is ostensibly a foray into reverberant, noirish folk until strange noises and studio effects begin to rise in the mix, sinking the original vibe like Luke Skywalker’s ship in that Dagobah swamp. Throughout LONER, Rose uses sarcasm and humor when dealing with dark subjects, including, seemingly, her own ambition. “Where are you climbing to, girl? There’s nothing for you up there,” she sings in the second verse of “Cry,” probably the album’s best song. “Better come on back down to Earth, you silly thing. 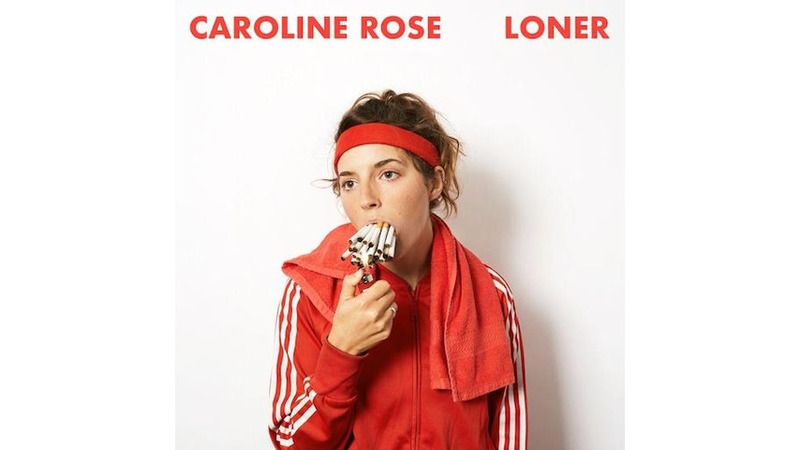 You’ll learn your place yet.” LONER is a big step up Caroline Rose’s artistic ladder, and evidence she hasn’t “learned her place” and never will.